At over 500 square feet, the house’s green roof may be its most powerful—and most expensive—environmental statement. It cost $8,000 to waterproof, and $7,000 to landscape. 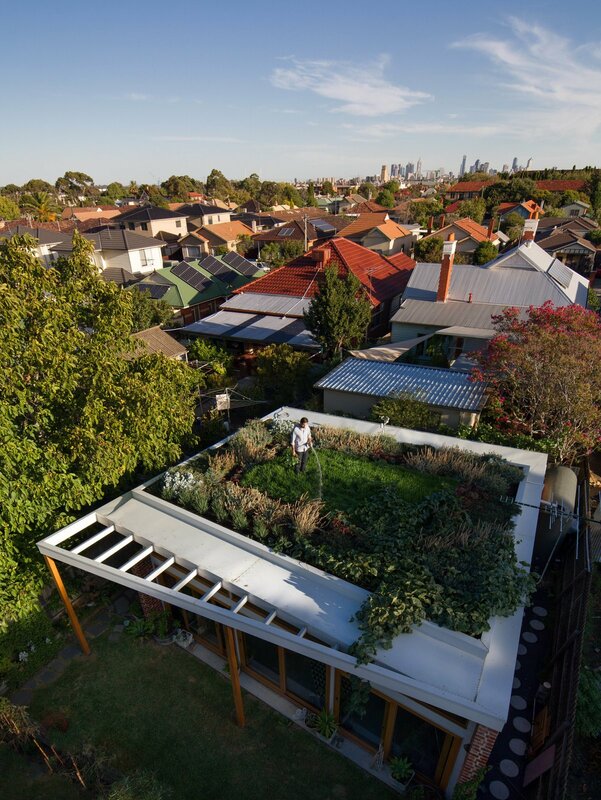 Water from the roof feeds the toilet and the garden’s watering system, and the garden itself insulates the house and keeps gas bills low in winter. Photo by Nic Granleese.